Today, we meet Mrs. Hansen! Mrs. Hansen comes from a family of educators. As a child she would play 'school' and dream of becoming a teacher when she grew up. That dream became a reality, and she has been teaching Kindergarten at Davis Elementary for 11 years. She says, "It is a fantastic age to teach, and the progress the Kindergartners make over the course of a school year is incredible. I feel that my job is to create a learning environment that is engaging and challenging. My goal each year is that all my students fall in love with learning and school." Mrs. Hansen says that the beach is one of her favorite places on earth. She finds the sound of the waves to be relaxing and renewing. She loves traveling the work and learning about different cultures. She says, "When traveling, I am always seeking out new foods to try. I also enjoy spending time with my family and friends as often as I can. Hiking, walking my dog, cooking and baking are also relaxing activities I love to do on a regular basis." Mrs. Hansen emphasizes the importance of your child's emotional state when preparing them for Kindergarten. She says, "I want your child to be socially and emotionally ready to start school. Talk with your child and share some fond memories that you have of being in school. Ask your child what they want to learn and read to your child, asking questions as you read about the story. Often, books are a great conversation starter. There are many books about Kindergarten that help ease any nerves that children may have about starting school." 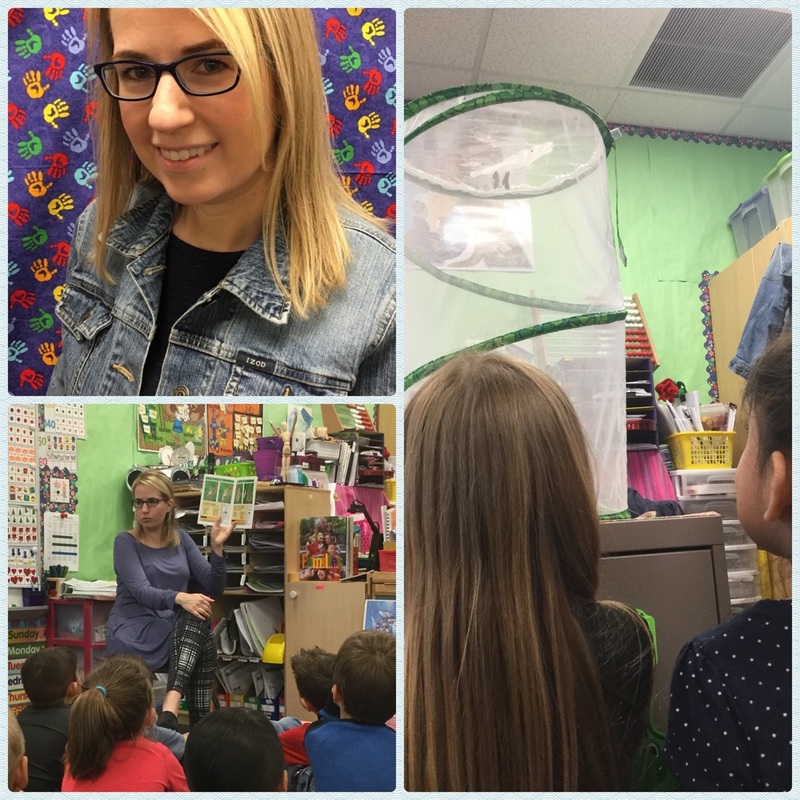 In this picture, Mrs. Hansen's class is exploring the life-cycle of a butterfly. Several children observe chrysalides hanging inside a butterfly net.